Uganda’s Primate tracking Safaris continue to be the icing on the cake for Africa’s adventures today. It is a life changing experience and the kind of experience that would require establishing a monument in everyone’s life story. The world’s largest concentration of primates living in their natural habitats can be found in Africa and Uganda is opportune to have a big percentage of this population. Better more is that Uganda has a number of rarely sighted primate species like the world’s few Mountain Gorillas and the endangered Golden Monkeys. Uganda’s population of mountain gorillas surpasses the number 400, making Uganda the best destination for Gorilla tracking safaris and tours in the entire world. These mountain gorillas, like humans, live in families; but not all these families are open to tourists’ visits. It is only the habituated mountain gorilla families which are open to tourists. Uganda has so far successfully habituated twelve (12) mountain gorilla families in Bwindi Impenetrable National Park and one (1) other habituated family can be found in Mgahinga Gorilla National Park (13 habituated mountain gorillas altogether). But of the thirteen (13) habituated families, the Kyaguriro mountain gorilla family was set aside for research only and has therefore never received any Uganda Gorilla Safari visitors. Irrespective of the time of the year and regardless of changes in demand for the gorilla tracking activity, Uganda Wildlife Authority (UWA) maintains that a maximum of eight (8) tourists can visit an individual mountain gorilla family per day. This is done principally to conserve the mountain gorillas and also to accord each and every group the opportunity to fully enjoy their once in a lifetime experience. Everybody who wants to participate in this activity must first purchase a gorilla permit. 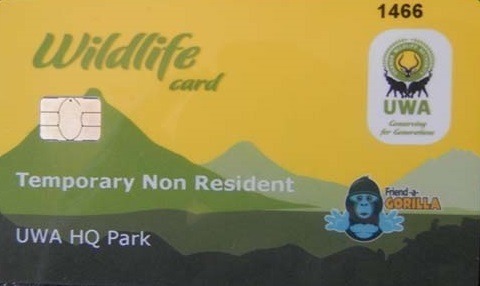 According to UWA the standard price for a gorilla tracking permit is 600 USD for Foreign Non-residents; 500 USD for Foreign Residents and 250,000 Uganda Shillings (UGX) for citizens of the East African Community. UWA maintains the mandate to either increase or reduce on these tariffs. Tourists can choose to purchase the permit through a tour operator or they can buy the permit directly from UWA’s headquarters. Using a tour operator is a faster alternative and will most often be cheaper than embarking on the gorilla safari on your own. Tour operators put together different components of the tour (including accommodation and transportation) and present you with quotation which many a time includes a few discounts. When the permit is available, tourists can then travel to either Bwindi or Mgahinga National Park for the long awaited experience. Tomorrow we will discover more about mountain gorilla tracking in Uganda.